At The Gage Law Firm, PLLC, our attorneys and staff are on the side of people who have been injured by negligent third parties, defective products and nursing home neglect. We know from many years of experience that individuals alone don't stand much of a chance in a tough situation against a big corporation or insurance company. We are here to help. 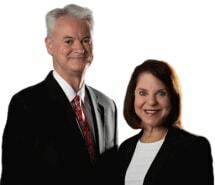 At The Gage Law Firm, PLLC, helping people who have been injured is our business. Our lawyers have the experience, compassion, resources and aggressive determination to fight for fair and just compensation for you. Our clients are everyday people who have been injured or wronged by others. Most of our new clients come to us through referrals from satisfied past clients and other attorneys. If you have been injured, you are welcome to call us or send us an e-mail and tell us about your personal injury, car wreck or product liability claim. We will evaluate your case and explain your options. If we accept your case, we will work hard to pursue justice on your behalf and seek to get you the monetary compensation, which you deserve. We want to help you. If you have suffered an injury because of someone else's negligence or if a family member has died in a fatal accident we can effectively represent you. If you have been financially injured as a result of an employer's wrongful termination of your employment, tell us about it. We can help you understand the laws and your rights. You do not want to face a big company alone. There is no attorney fee unless we recover for you. You may have to pay the opposing parties' attorney fees and costs in the event of a loss.